We take your EDI operations seriously and are constantly upgrading and finding ways to make you more efficient and profitable. You build a house but then you have to maintain it, the same goes for your software investment. FoxPro gone? If you’re still using .MAP maps, it’s time to update to .HQM to improve efficiency and reduce potential coding errors. Bad data? Using EDI/HQ’s map designer to incorporate business logic will help eliminate errors or time spent on bad data. Want to go direct? Write data directly to a database with EDI/HQ. ERP frustration? 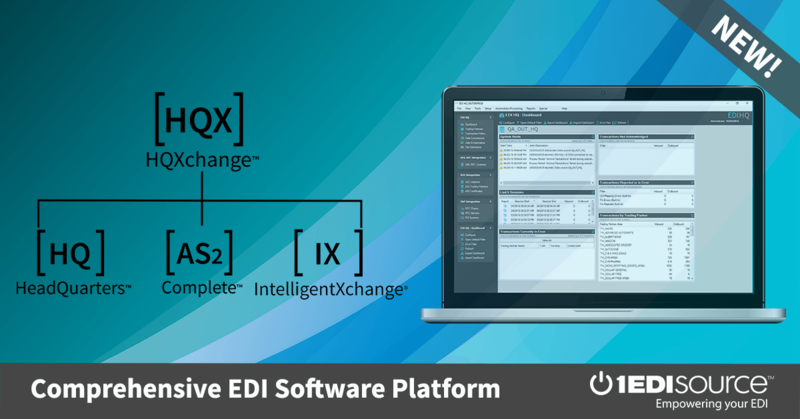 EDI/HQ can integrate with many different ERPs, so you can change your ERP at any time without having to change your EDI solution. Data conversion confusion? ERPs can struggle with data conversions, so if you simply don’t want to handle them on the back end, EDI/HQ can do it for you. Missing orders? If you’re expecting X amount of orders by 10 a.m., do you have a process in place if they don’t show up? EDI/HQ alerts you of missing files before it’s too late. Visibility woes? You can notify sales and customer service representatives of upcoming orders, assign user roles without putting at risk a map or trading partner set up, and create reports for non-integrated data for colleagues outside of IT with EDI/HQ. Report for non-EDI docs? There are some documents that ERP packages don’t know how to consume, but through EDI/HQ you can create a report that can be sent to the appropriate people. Duplicate orders? EDI/HQ prevents duplicate orders from being imported; meaning you can eliminate double orders, double shipments and double payments. Process failures? EDI/HQ can alert you if files are stuck or if a connection is not being made. Backup plan? Don‘t risk corrupting your production system, have a database maintenance back-up plan in place. Storage shortage? EDI/HQ can utilize full SQL as its database allowing for unlimited storage. No cash for a development environment? EDI/HQ’s data sources can be used to do your EDI development without having to stand up a whole new environment. Checking for FAs? If you’re not checking functional acknowledgements (FAs) then you could be missing out on documents your trading partner never received. Utilize EDI/HQ’s reports to help streamline the process. Bad communication? Check your communication protocols (like AS2) frequently and have a process in place if your communication goes down. Archiving data a pain? Whether you have 90 days or six months of data, you can simply automate the archiving process with EDI/HQ because a clean database means faster processing and a more responsive system. Got a Disaster plan? Absolutely critical! It may take a day’s worth of time to put one together and deploy, but it could save you weeks of downtime. Remember that we aren’t just a B2B EDI software provider; we actually have consultants on staff that can help optimize your B2B exchange for efficiency and accuracy. Request a Demo of HQ Today! One of our EDI solutions experts will show you how HQ can help you.